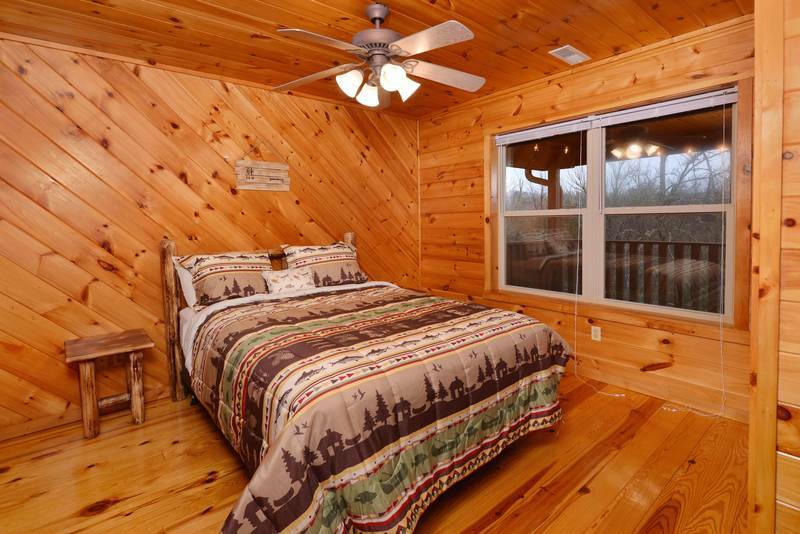 Great cabin to get away from it all. 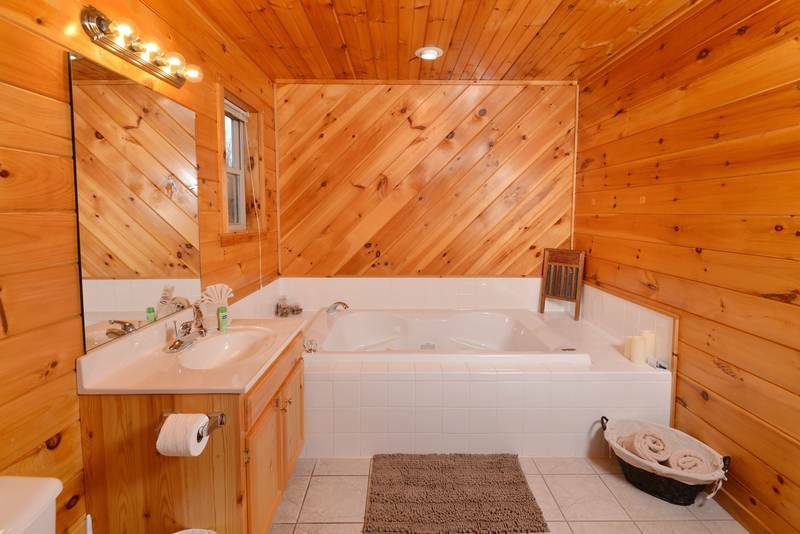 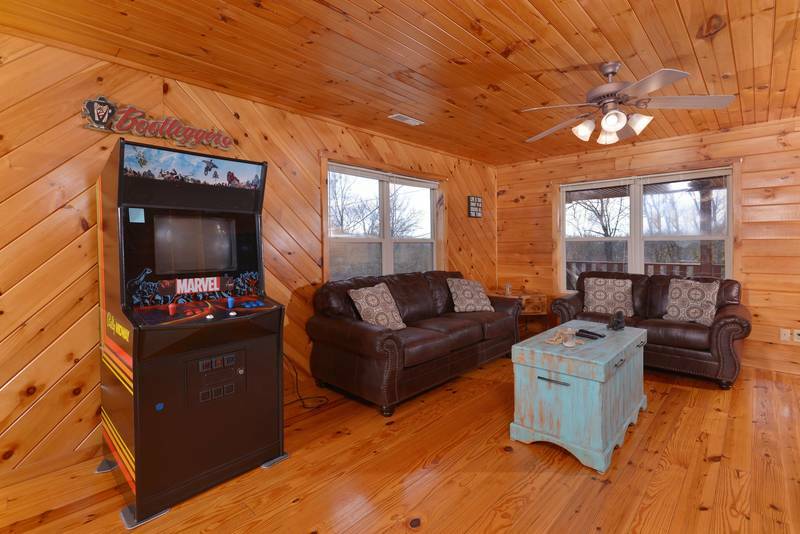 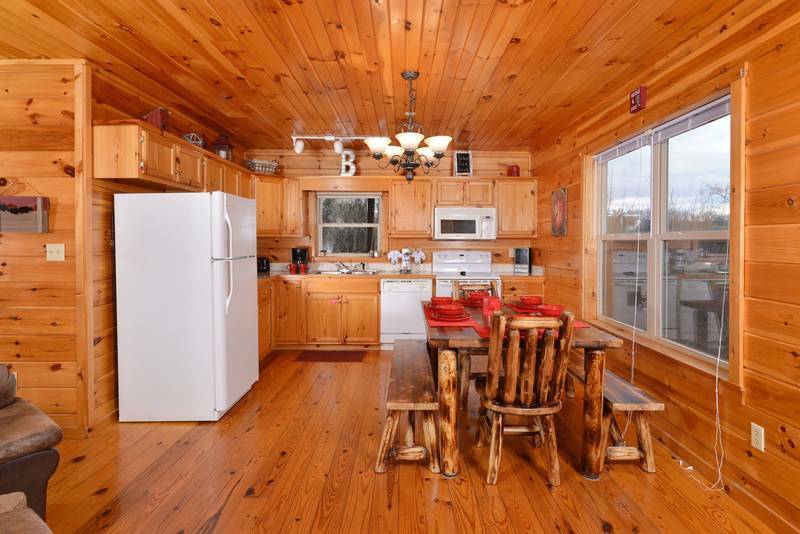 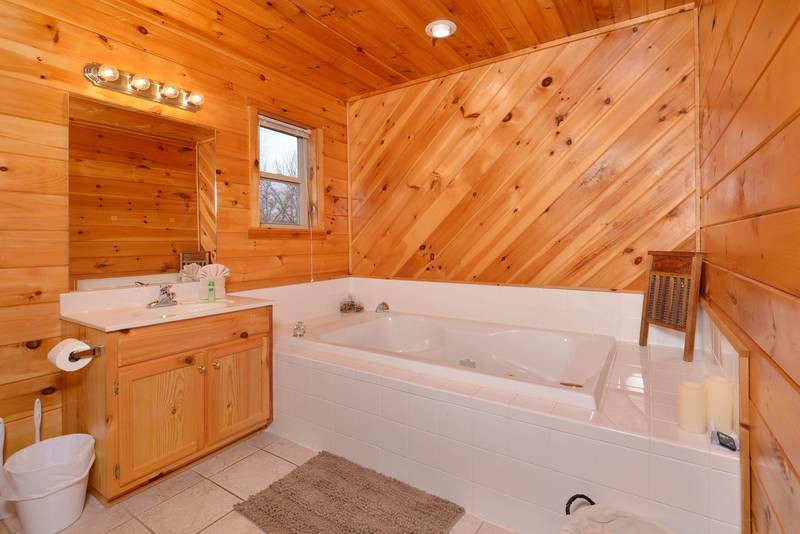 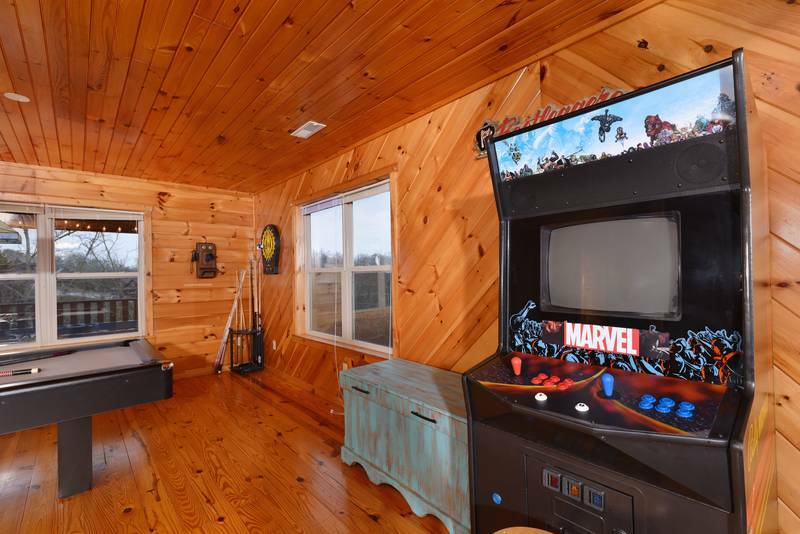 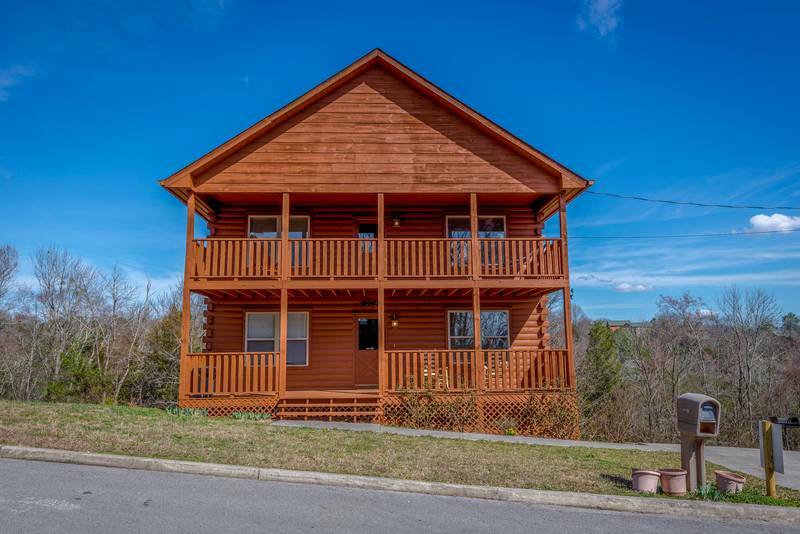 Bootleggers Haven Unit 770- is a 3 Bedroom 3 Bath Log Cabin. 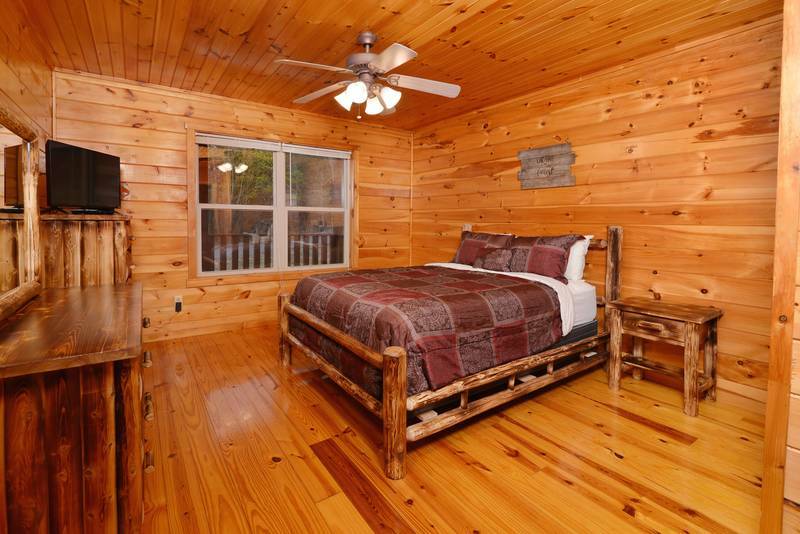 The Main Level offers One bedroom with queen size bed and 32 inch flat screen, master suite bathroom with large whirl pool and walk in shower. 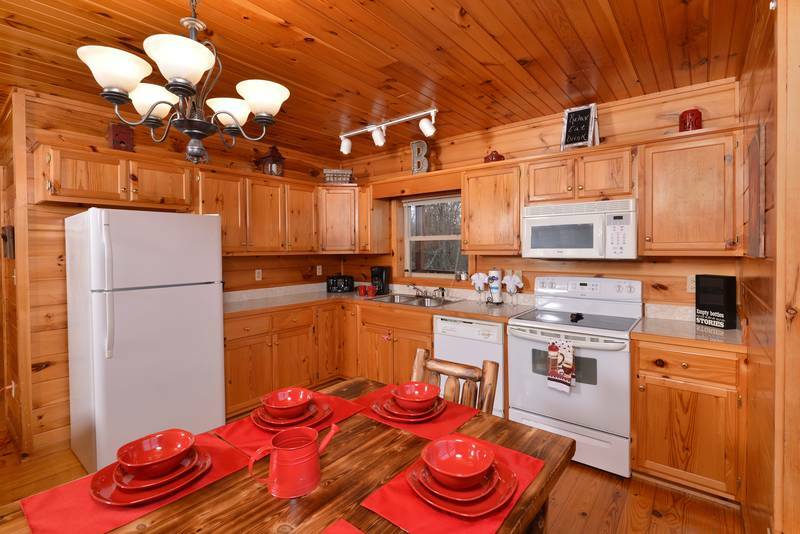 Fully equipped Kitchen and living room with 50 inch flat screen and gas fireplace. 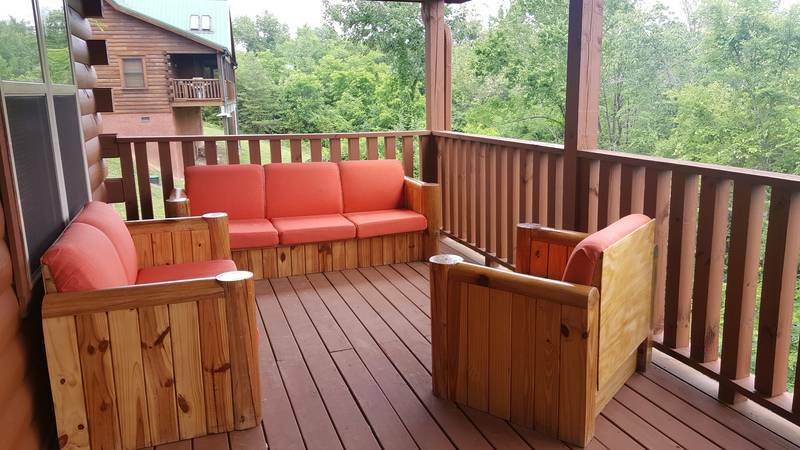 There is a front and back deck off of the main level. 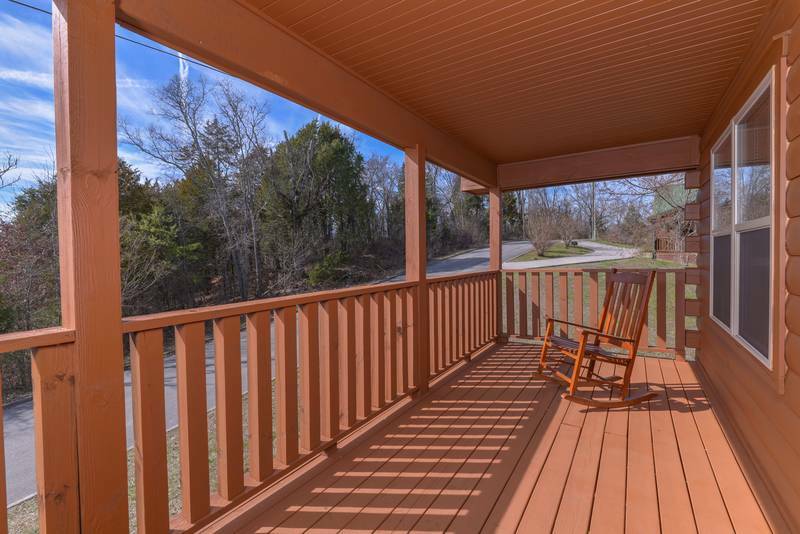 The front porch leads to the outdoor fire pit area and charcoal cooking grill. 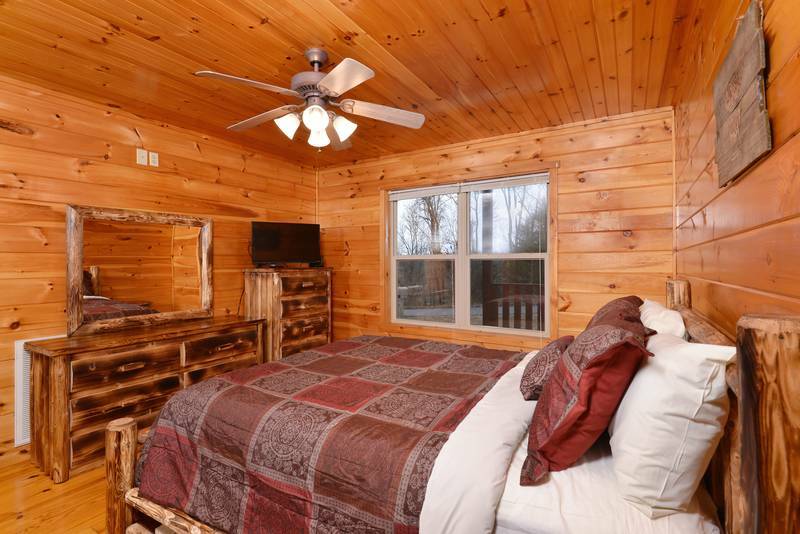 Upstairs offers 2 bedrooms with queens size beds with 32 inch flat screens and bathrooms with tub and shower combo. 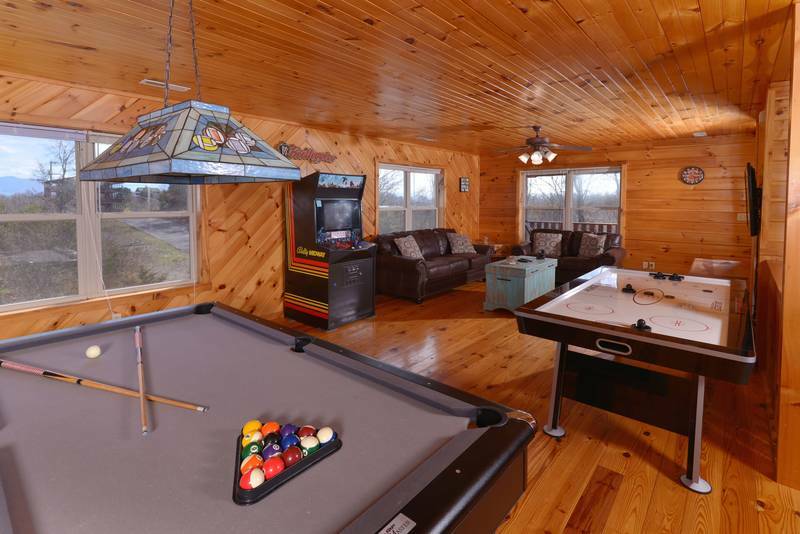 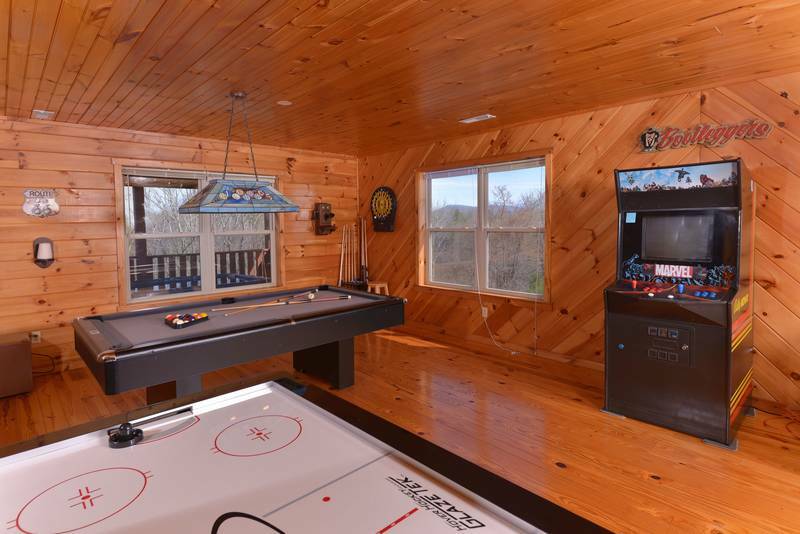 The loft area offers full size pool table, air hockey table, and arcade gaming system with 645 games to choose from. 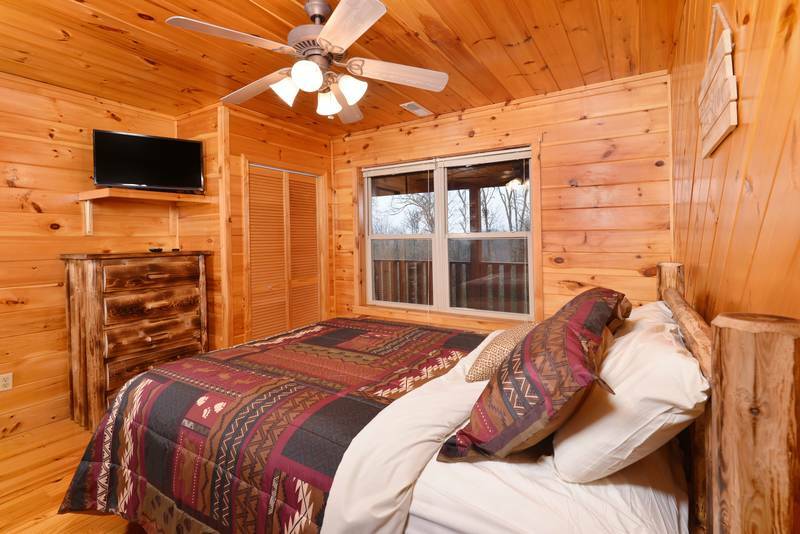 There is a 50 inch flat screen and pull out queen sofa sleeper for extra sleeping. 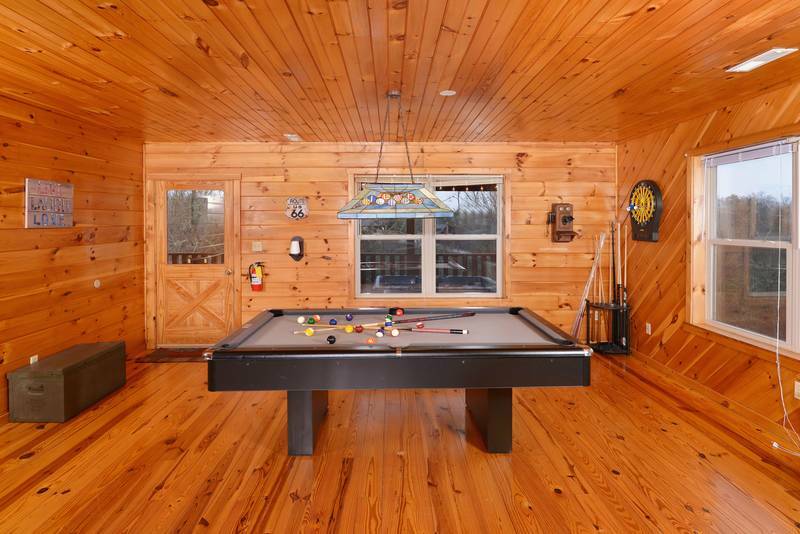 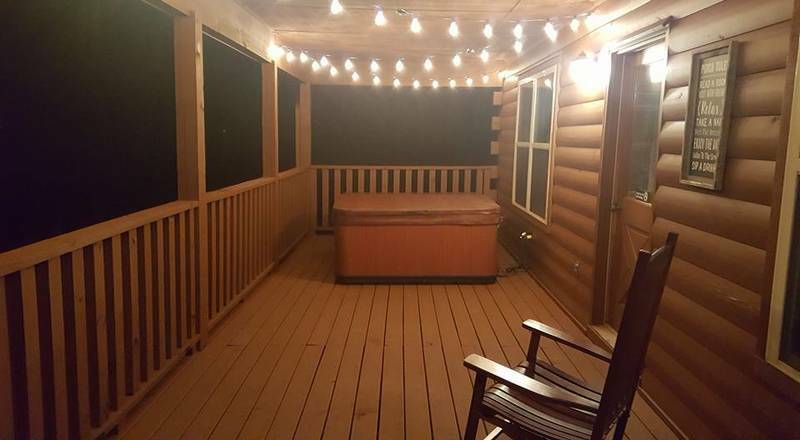 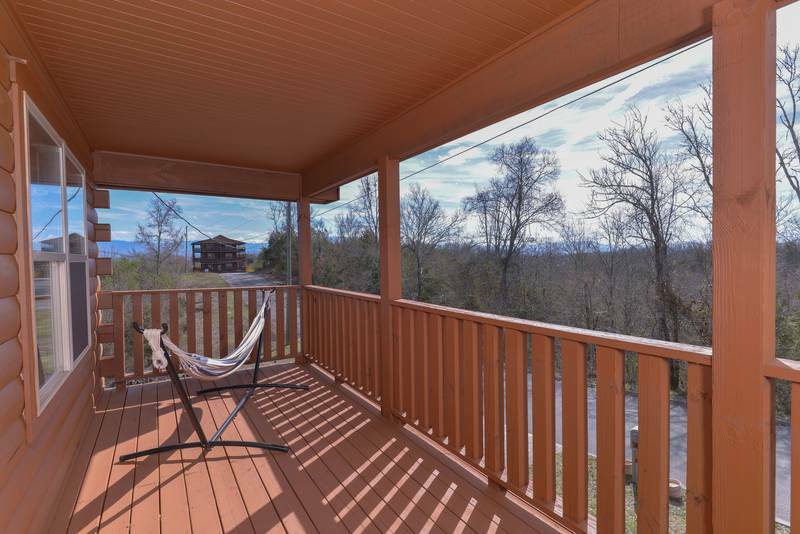 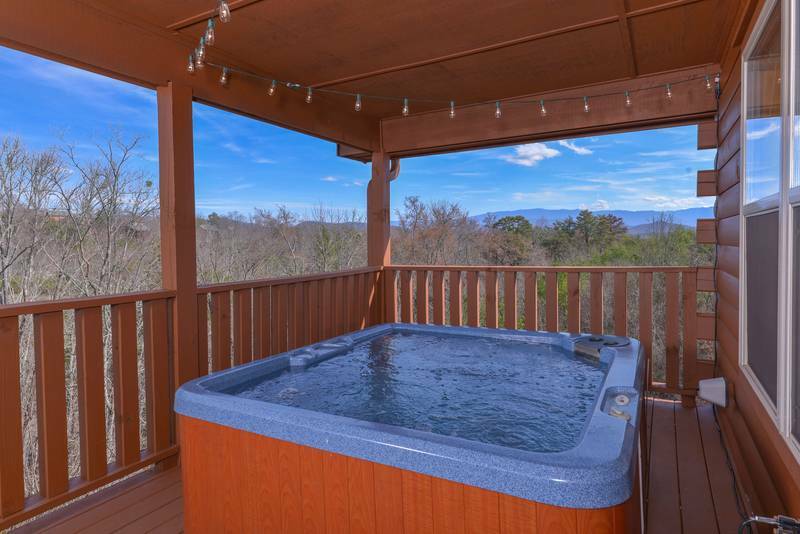 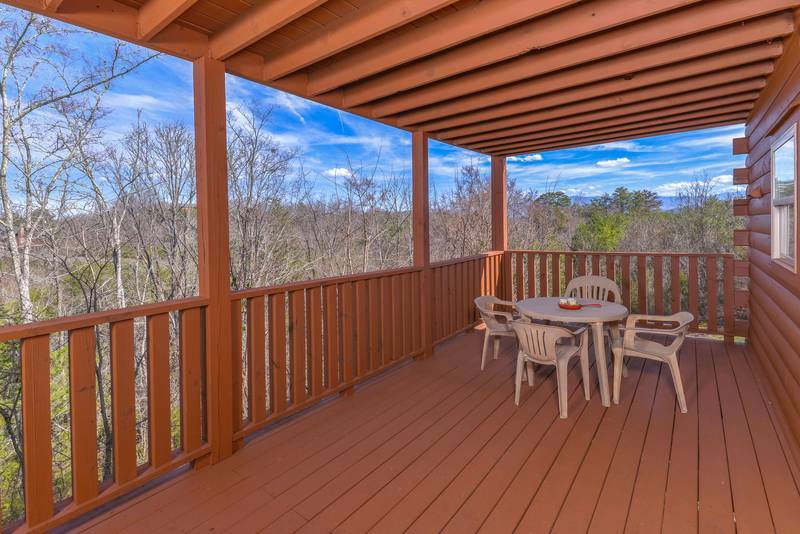 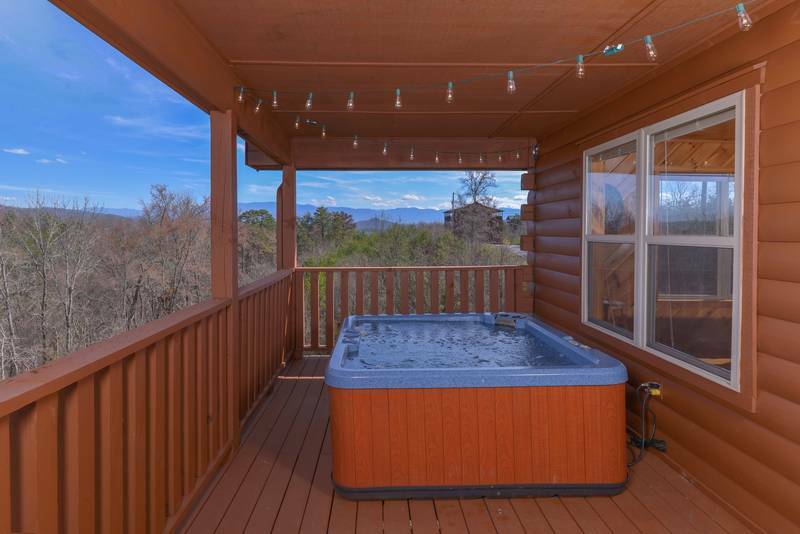 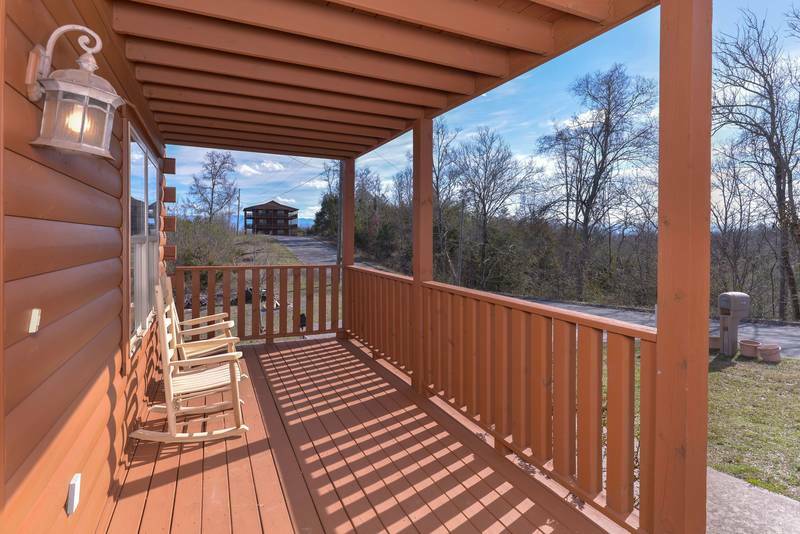 Enjoy the covered large deck with 4 person hot tub, out door lighting and Mountain view. 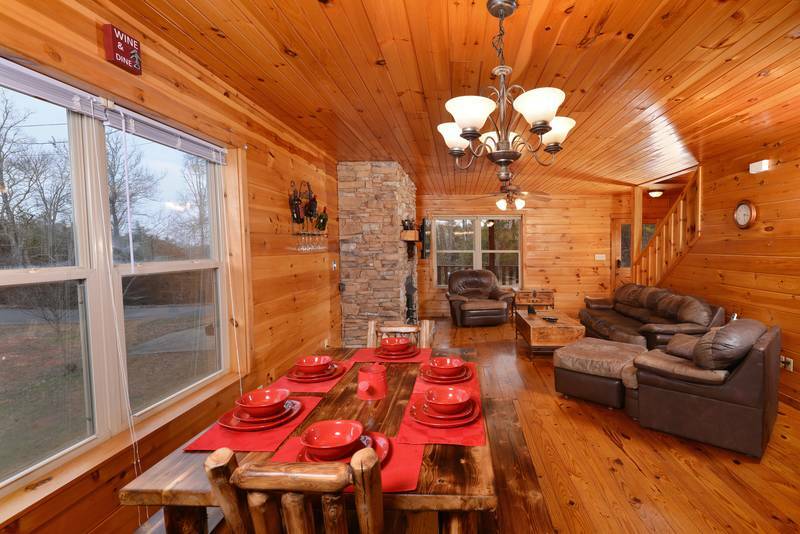 This cabin is decorated with rustic log furniture and offers mountain views from every level. 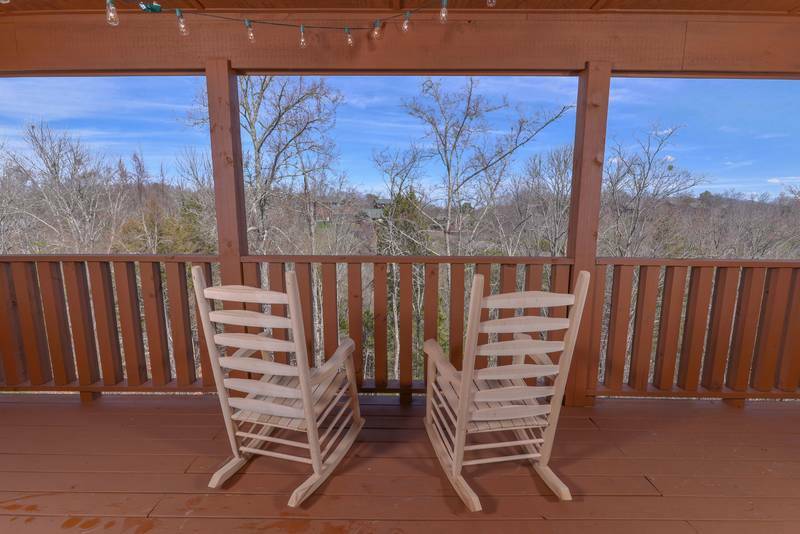 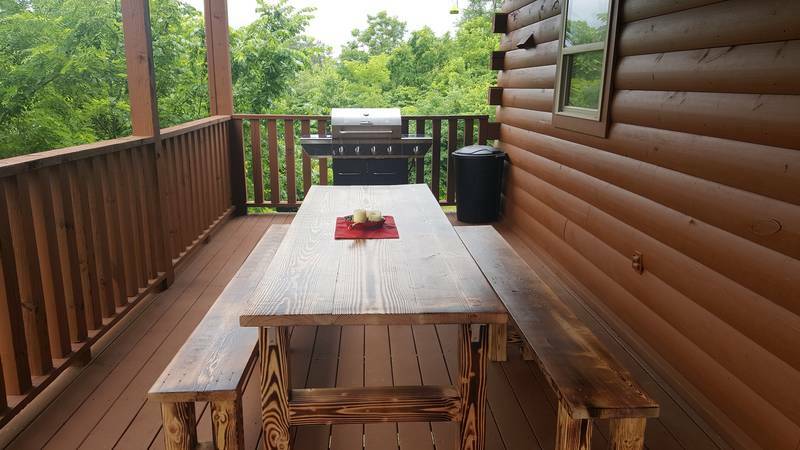 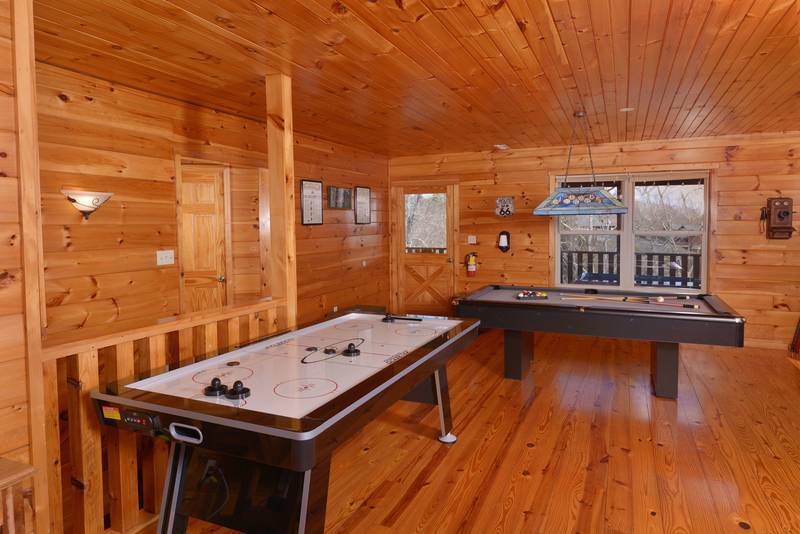 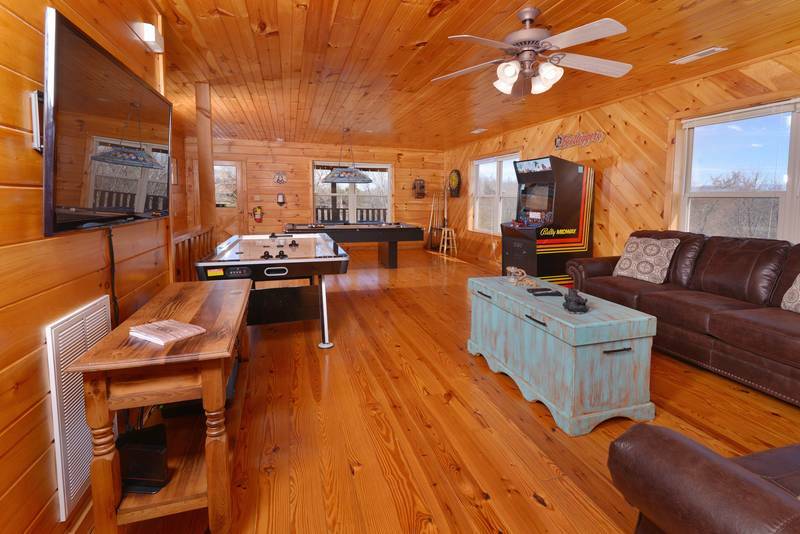 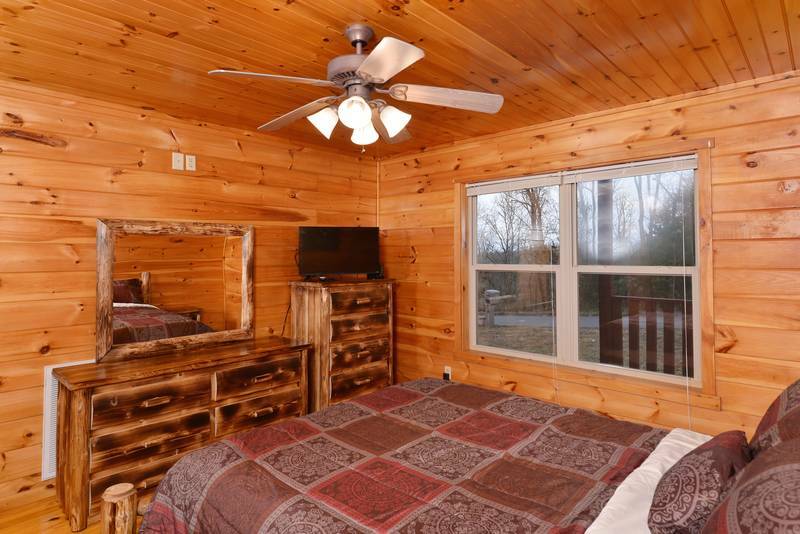 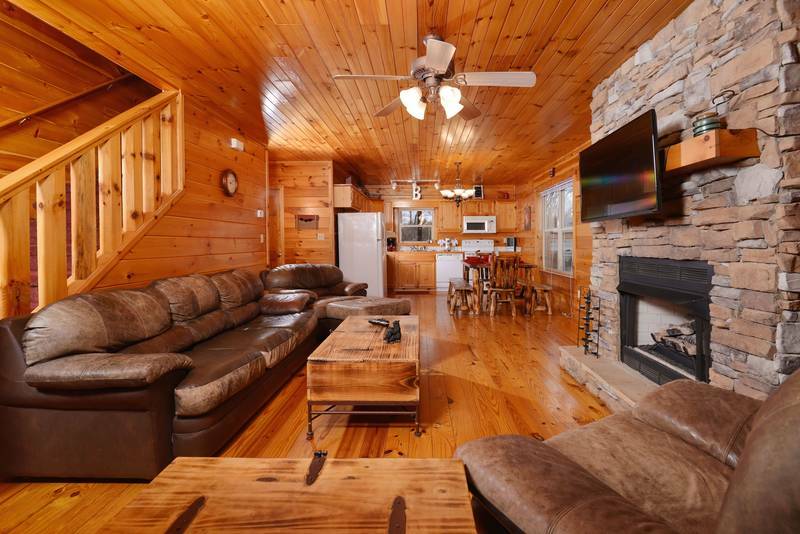 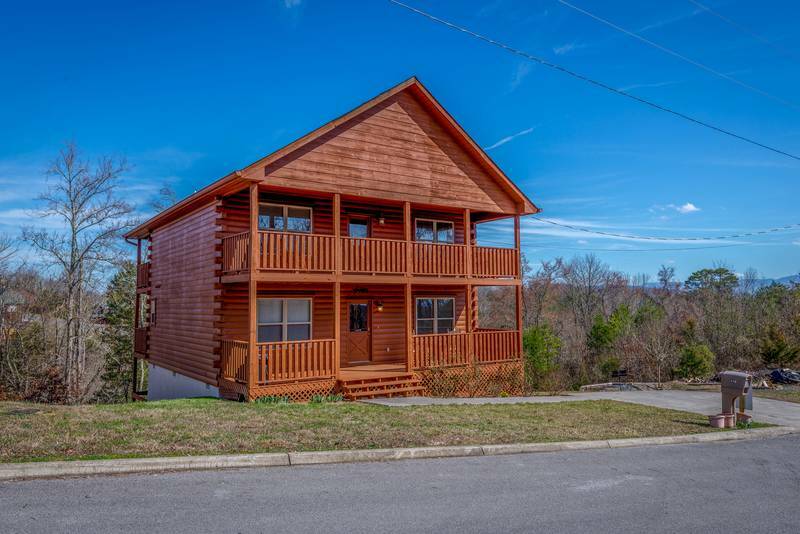 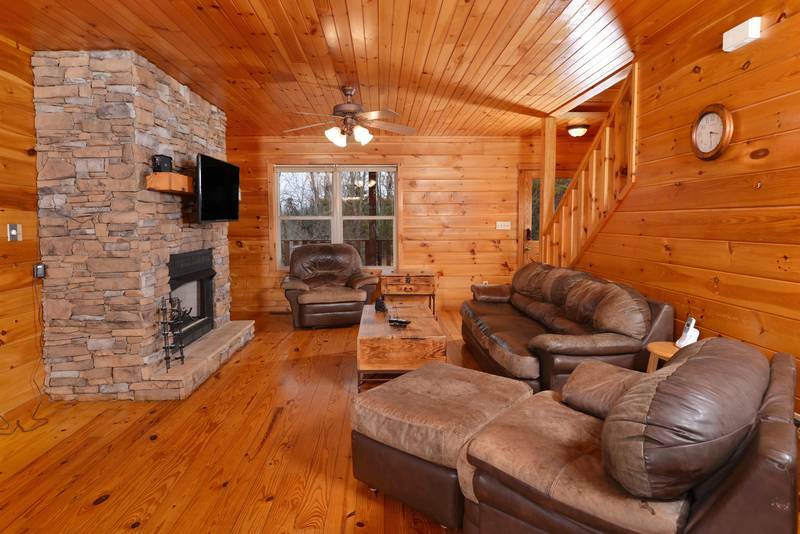 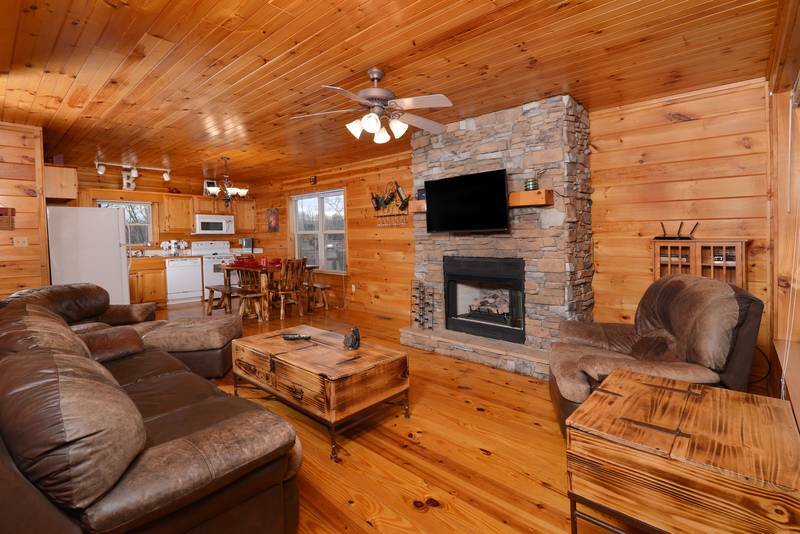 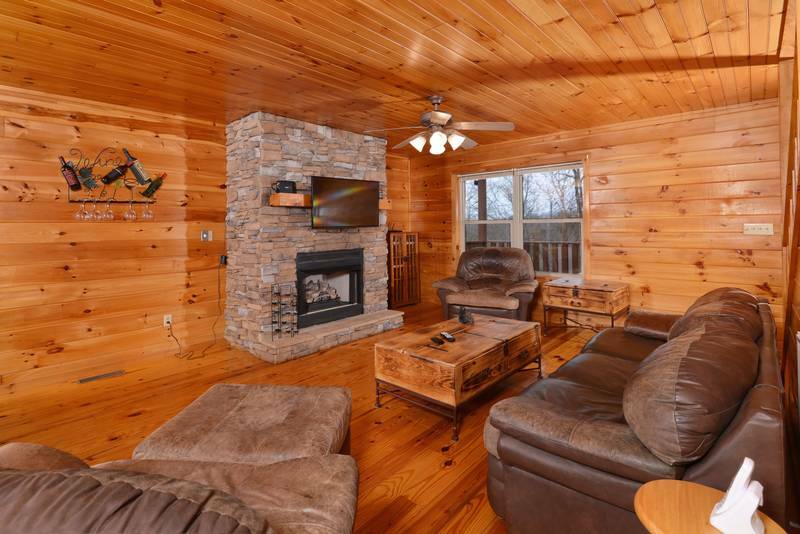 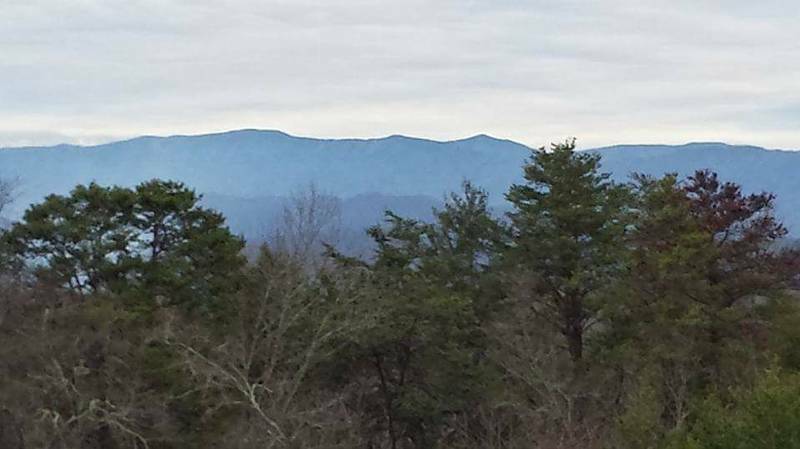 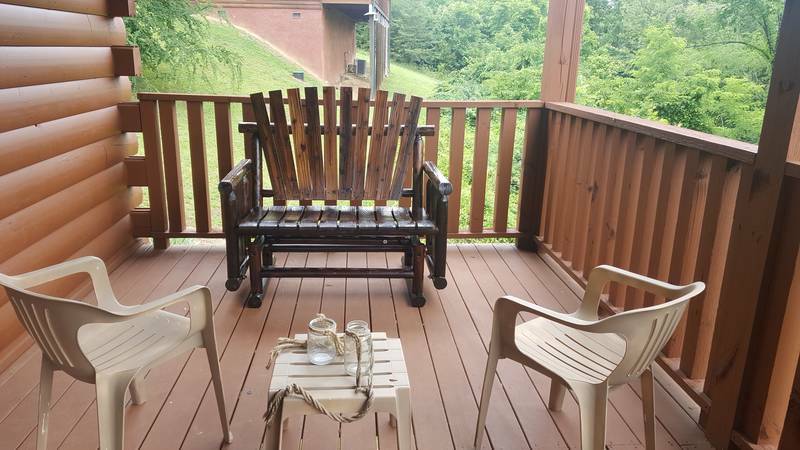 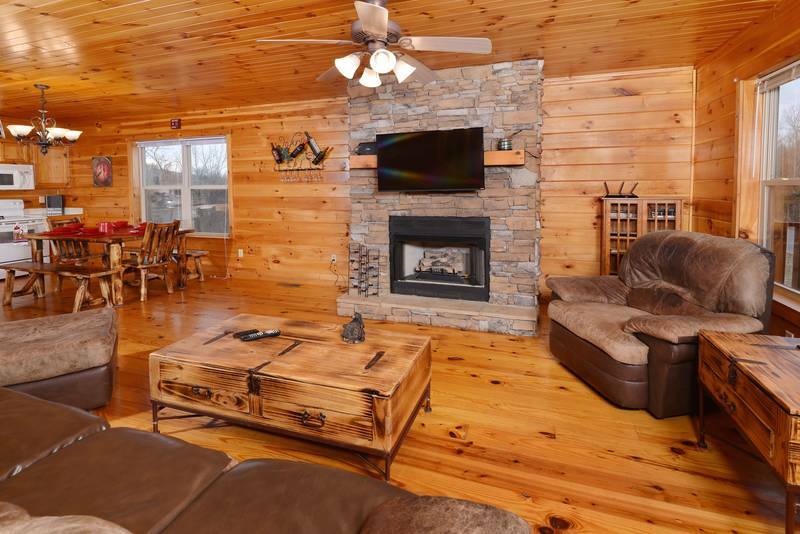 This cabin is only 15 minutes from Dollywood and Pigeon Forge. 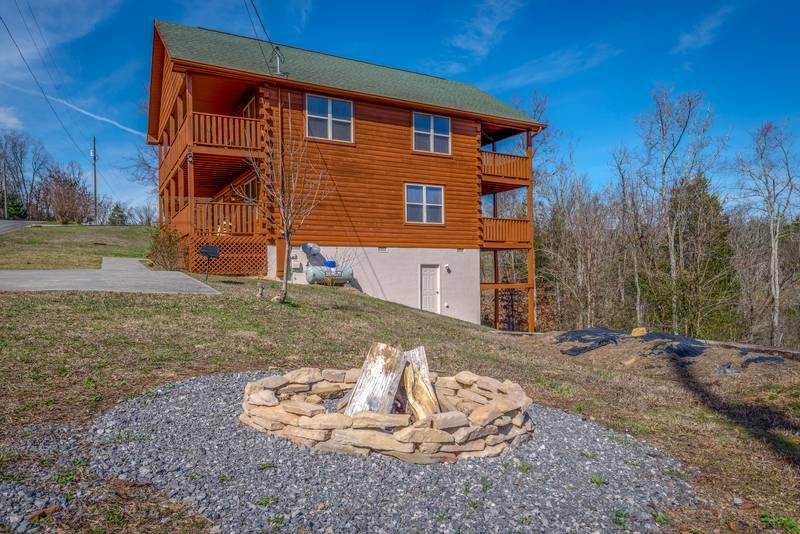 Only 3 miles from Douglas Lake. 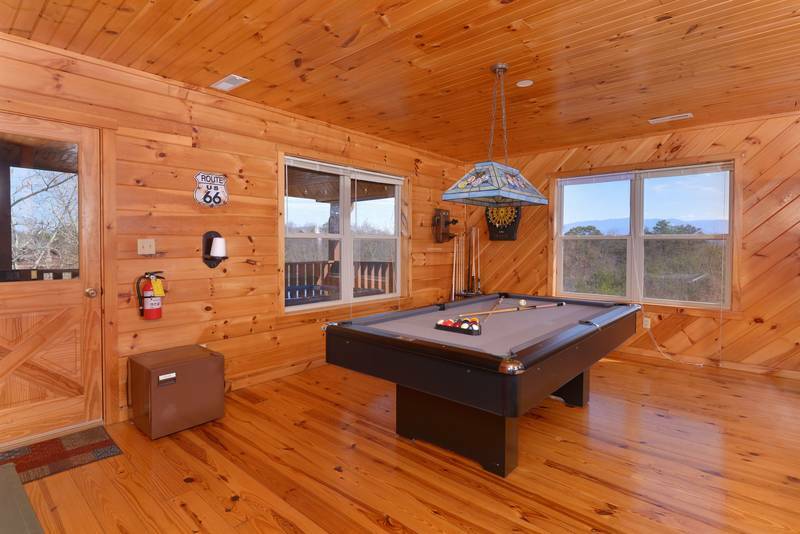 The Gator Pointe marina nearby has boat rentals. 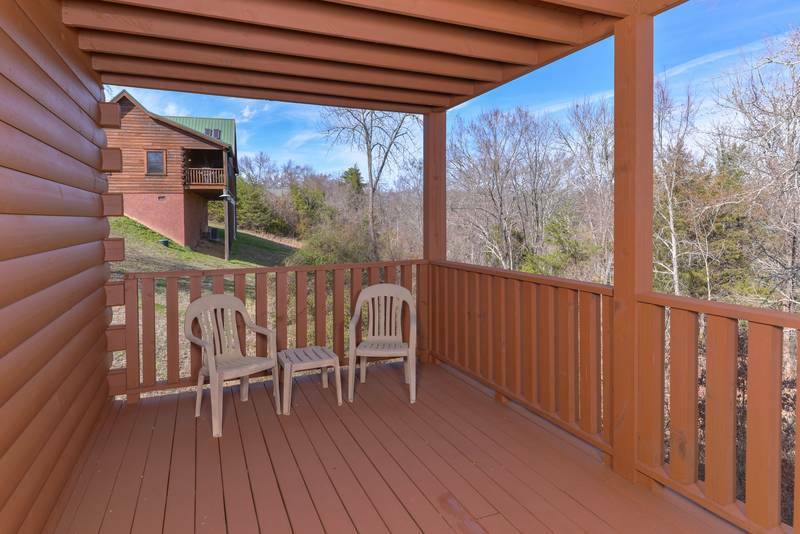 Douglas Lake is perfect to enjoy fishing and water fun activities. 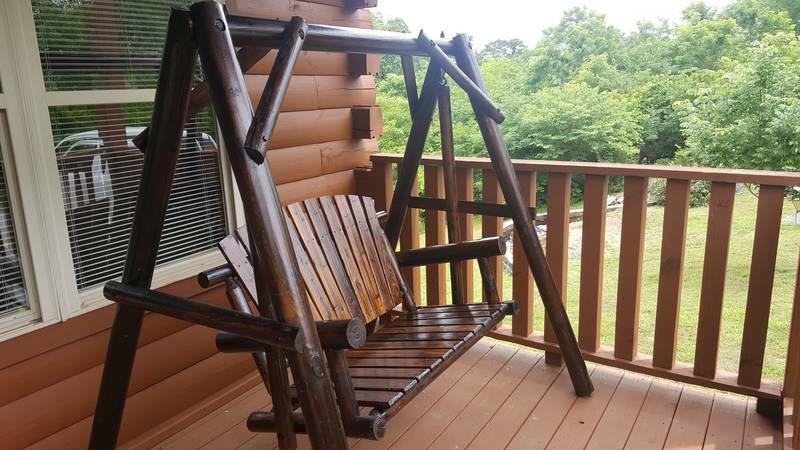 After enjoying all the near by entertainment you can come back and relax in the hammocks and enjoy the free wifi. 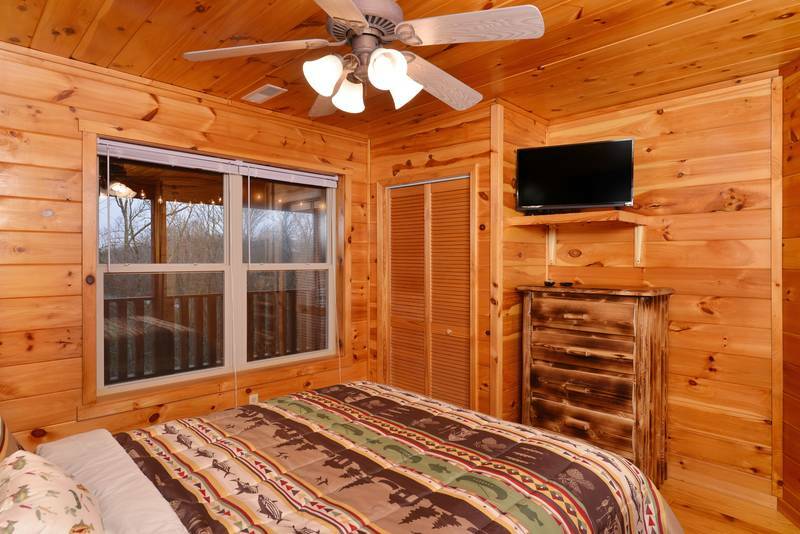 This cabin is also Motor Bike friendly too. 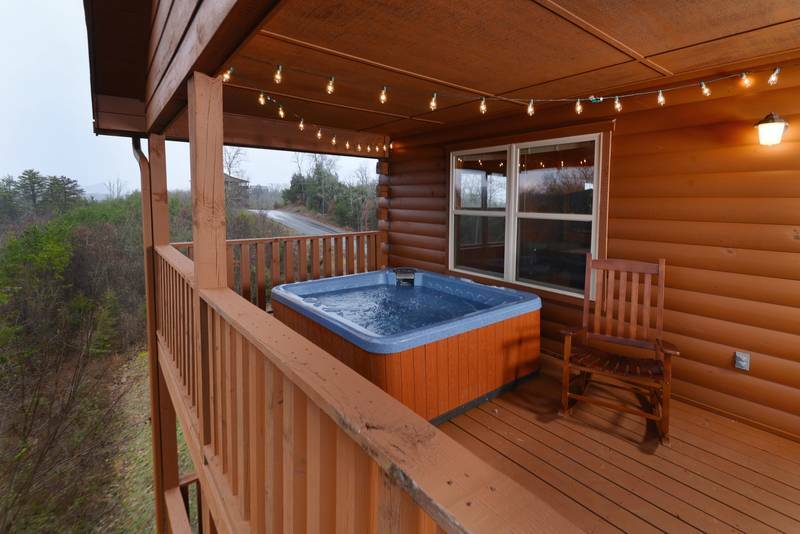 What a great place to get away from it all. 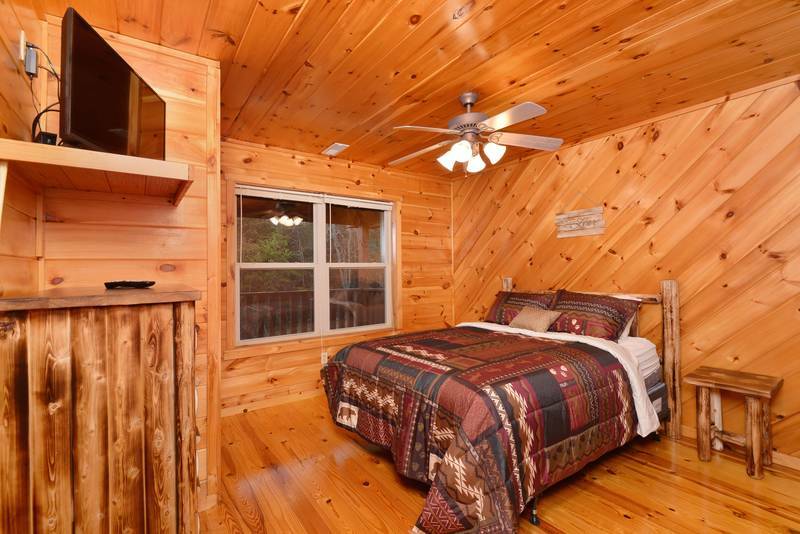 Sleeps 8, No Smoking, No Pets Please.